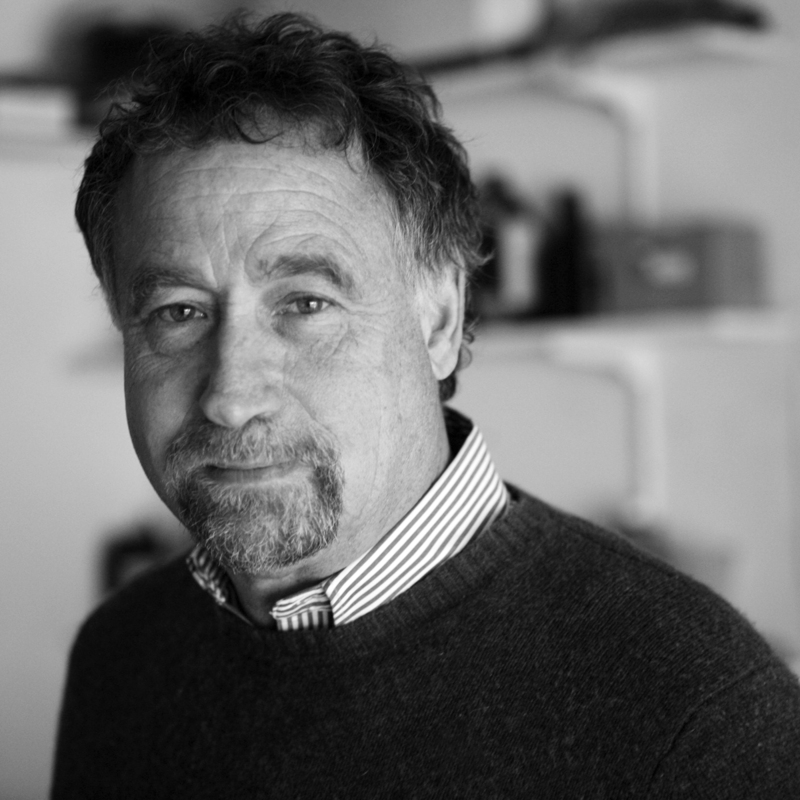 Ray Price has had an enormous impact on the sport of motorcycle drag racing. Where a number of people have been really gifted racers or tuners, the North Carolina Harley-Davidson dealer and legendary drag racer actually came up with two innovations that forever changed the sport. 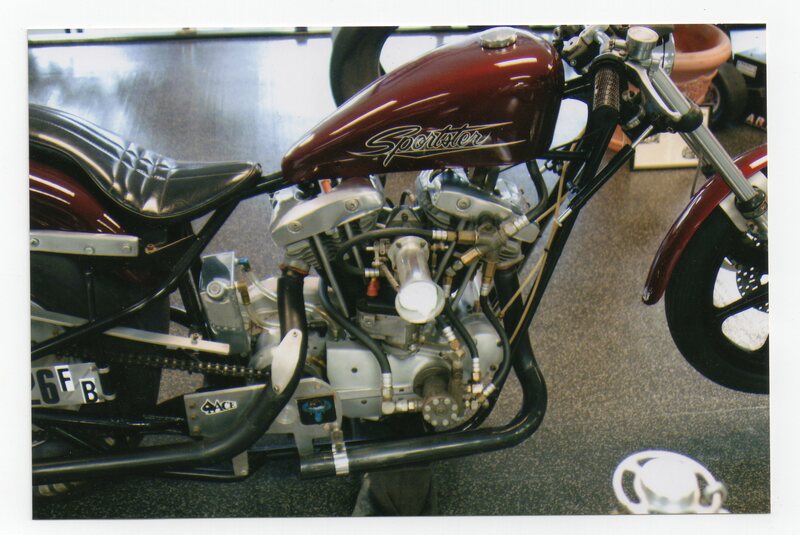 As with many of the more powerful machines of that time, his Sportster had a tendency to lift the front wheel, which led to another Price contribution: The wheelie bar. And of course, he was right. 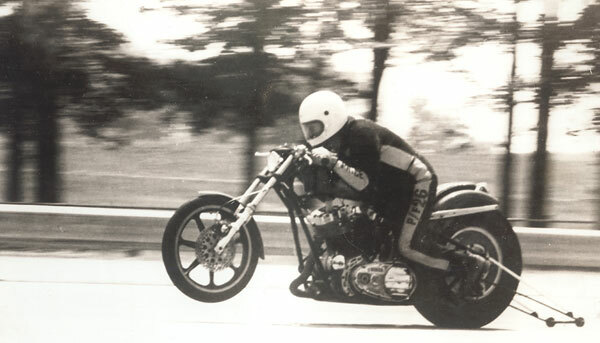 I believe that Carl McClanahan was the first racer with the idea of wheelie bars and have read it in more than a few articles. Can’t say that I remember McClanahan with a wheelie bar, and yes, I’ve seen him run. 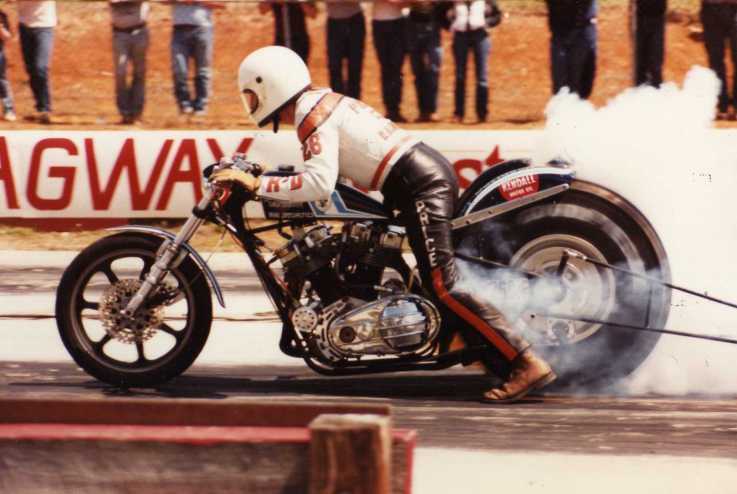 During the era of the 4″ Avon and 1 gear, wheelies on top fuelers really wasn’t a problem. Jr. fuelers however would and did have a problem that way. 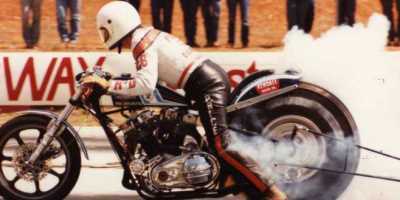 Sonny Routt,s Jr. Fueler with probably a 15″ rear wheel was the first wheelie bar I can remember ever seeing. Not real sure now what year it was, early ’70’s, but do remember the track, Suffok, Virginia. sometimes i wished i was there on that one. Thank you Cycle drag. RIP Ray Price You changed motorcycles Forever!!! I had the pleasure of meeting Carl McClanahan.. When I was in the process I buying his home.. He told me in 2008 that he was the inventer of the wheelie bar… Showed me a book that he had written (book was published) an on the back it also stated that he invented the wheelie bar in the early 1970’s..